Noomi Rapace headlines “Quiet Eye,” the latest viral video released in service of “Prometheus” as 20th Century Fox prepares fans for the film’s June 8 release. Rapace introduces herself in the “classified” crew file as Dr. Elizabeth Shaw, an archaeologist with an array of academic knowledge. But what is happening on that split screen? 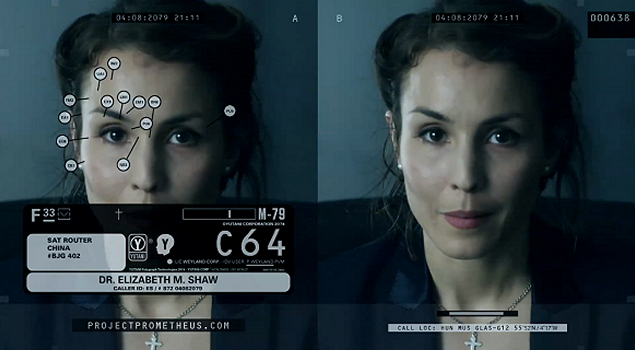 Who are all of those ladies, and how do they tie in to Shaw and the Prometheus mission? Also, a new international poster for “Prometheus” has been added to the gallery.